Alright everyone, I'm thrilled to proclaim that WAML ended on an amazingly satisfying conclusion. In fact, I don't think I've felt this much of a contentness buzz from the end of a drama since Queen of Reversals. That's not to say it cinched everything up tightly, but it did close up the storylines that mattered, and left things bright with an airy burst of hope. Seriously, I'd almost go so far as to recommend this to other viewers. 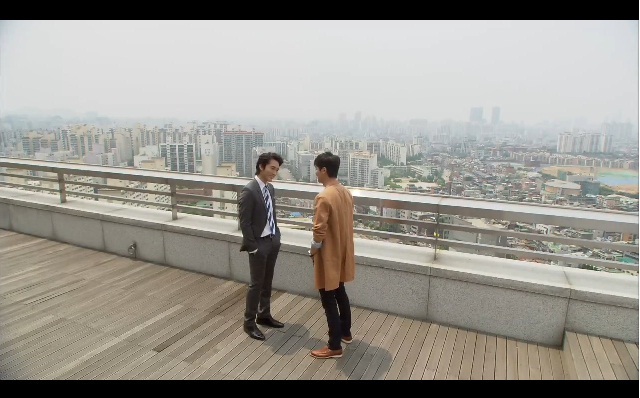 No, neither Mi Do nor Jae Hee jumped off a cliff, but I'm ok with that. The last two episodes instead focused on Mi Do's path to regret and redemption, mixed in with a final murder case and a resolution to the mom and brother plot. The murder case felt ham-handed and unnecessary (since by this point Tae San's been accused of about 5 homicides). But luckily it was dealt with quickly, and was the spark that finally made Baek Seung Joo give up TS. The mom and brother plot was probably the most emotionally powerful. It made me willing to forgive the mom, even if I still think of her as a selfish airhead in her youth. 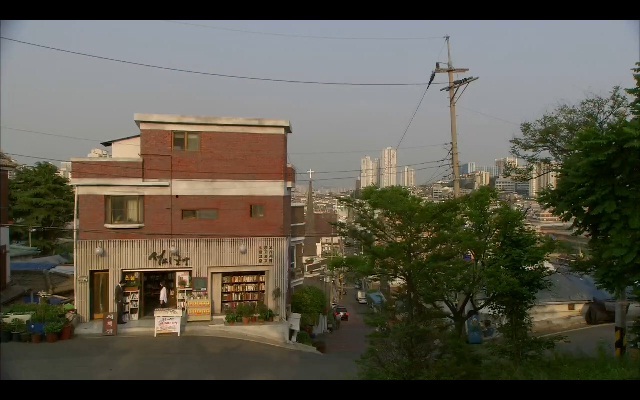 I suppose the whole point of it was to draw a parallel with Mi Do's choice of Jae Hee over Tae San. Oh Tae San, you are far too good for these awful women around you, but at least you get your version of a happily ever after. And Tae Min, who turns out to have been one awesome character. His embarrassing English and Vanness-like looks initially kept me back, but once his character was fleshed out I just adored him. Which brings us to the final conclusion - yes, Tae San does end up with Mi Do. It's a fairly subtle closure without any fanfare or kissing, but I thought it was beautifully done. I'm amazed I'm not even slightly upset, considering how much I hated Mi Do for the middle ten episodes. But if there's one thing I'm a sucker for, it's a redemption storyline. I like the idea of second chances, because all of us make mistakes in life. I didn't even mind the time jump, because it was the drama's way of showing us that Mi Do made the effort to reflect and work her way to a happy ending. My favorite scene in the entire drama is the dream Mi Do has of Tae San calling her outside and writing on the blackboard. The viewer knows the whole time that it's a dream, and it's almost heartbreaking to watch her be so sweet with him only to the pan-out to his words - "Why didn't you love me?" That was the moment I forgave her character, because who hasn't experienced such regret before? I'm still not clear on when and why she decided to end things with Jae Hee, although their last luncheon felt cold and completely devoid of chemistry. 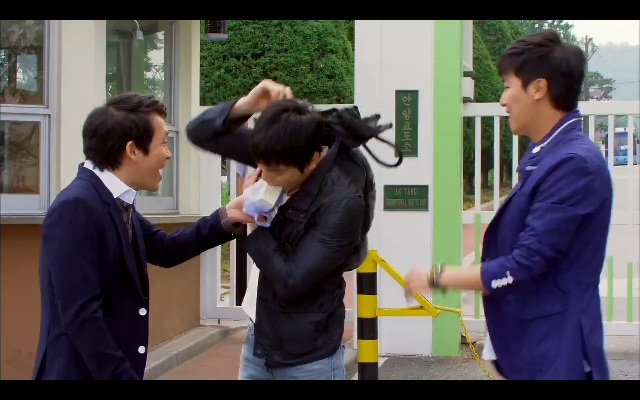 While Jae Hee remains my least favorite character, I like him if only to keep Chang Hee happy. The prison release scene made me giggle and sigh at the wonderful bromance and moment of deserved levity. Actually, almost all the characters in some ways redeemed themselves, even leprechaun uncle, who seems to have become a hilarious permanent backdrop in the mom's diner. All the characters showed a surprising depth in the end, and I loved that. It's reminescent of the enemies to frenemies transition Baek Yeo Jin made in QOR. I only wish it hadn't felt like the production was trying to jam as much content into the final two hours as possible. While they luckily focused time on the parts we cared about (the mom story, Tae San's comeback), other scenes felt spooned in there without any transitions. But that's a minor qualm, and didn't take away from my general enjoyment of the final episode. There's a reason why endings are important (the most important part of a drama if you ask me), and it's because this is the final impression and emotion you give the viewers. You can leave them with anger, dissatisfaction, and confusion, or you can try to leave them with a sense of happiness and hope. That's something this drama manages to do, and for that I leave fully satisfied.